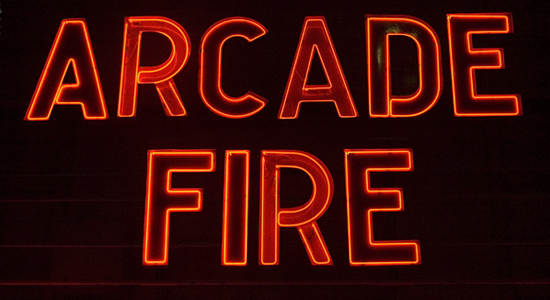 When Canadian indie rockers Arcade Fire upset pop superstars like Lady Gaga, Katy Perry and Eminem by picking up the Grammy for Best Album this past Sunday, many were apparently left wondering, just “who is Arcade Fire”? Whatever you do, watch your back before asking this question out loud. Because if you don’t know, hipsters will kill you. This week’s Video of the Week pick is less of a video and more of an experience. It comes in the form of Arcade Fire’s new video for the song “We Used to Wait” off of their superb, recently released album The Suburbs. It is more of an “interactive interpretation”, and unlike any music video we’ve ever seen. It begins by prompting you to enter in the address of your childhood home, and with the use Google maps, satellite images and a number of different browser windows, takes you on a nostalgic ride set to a song about the fast pace of today’s society. I am of the opinion that Arcade Fire can basically do no wrong (I’m what one might call “obsessed”), but they outdid themselves with this piece of innovative video. This choose-your-own adventure style of interactivity is catching on. We fully expect other artists and brands to follow suit. Heads up: You’ll need to download Google Chrome to be able to watch it, but it’s worth it (apparently Safari works as well). So here we are, with all the news about Favre starting his 20th NFL season, it’s only fitting that our video of the week be about him. He’s man of well-played indecision that accompanies a laundry list of NFL Records. After 309 straight games, this is how it all started. Knowing what we know about Favre, it shouldn’t surprise anyone that his first completed pass was to none other than himself.